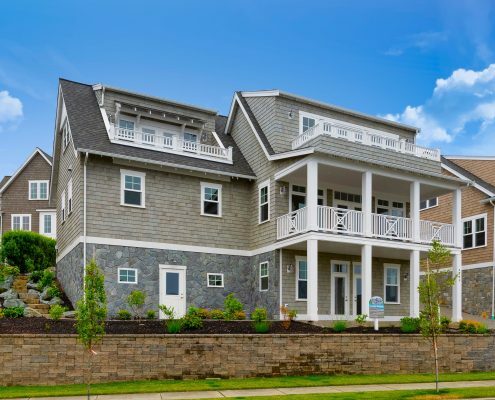 Only 4 exclusive Water’s Edge homes remain for sale. 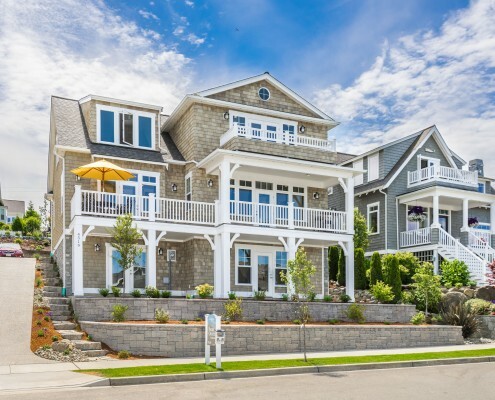 Masterfully sited where land meets sea and blending Nantucket charm with refined Northwest character, these spectacular homes are located just 90 minutes from Seattle in Anacortes, Washington. 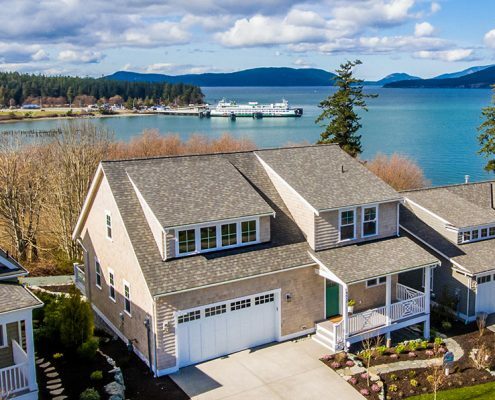 Soaring window walls and expansive decks welcome unrivaled views across Guemes Channel and the San Juan Islands beyond. Inside, are glistening hardwoods, natural tiles and granites, custom systems and appliances and extensive millwork. Put simply, these homes are being designed and built to withstand rigors of weather and outlast the whims of style. Water’s Edge Homes are priced from $1,300,000. Below are the home designs currently offered at Water's Edge. Click below on each home to view images, floor plans, and descriptions. Be sure to visit our interactive map for current availability of lots and home designs. Call us at 1.360.588.6900 to schedule a tour with our sales team today! The Decatur is move-in ready on Lot 16. The Saratoga is move-in ready on Lot 24 and Lot 40. The Pender Harbor is move-in ready on Lot 28.